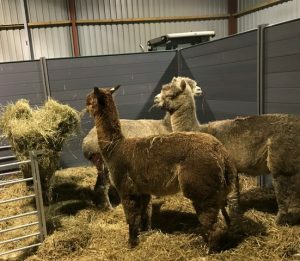 Well for those of you who think of Alpaca and farming them as “cute and fluffy” creatures, this year I will enlighten you as to the hard life farming Alpaca (any livestock) is and the amount of dedication required. Harsh weather is one thing but soon goes and you are left with mud and gloop in our clay pastures unless carefully maintained (as we do) … this means any livestock operated on needs barning to prevent infection. Tekplas partitions in our barns are moved around and are used continually here as easy wipe down. as photographer on standby on this occasion – my personal thanks to my son Ollie for holding the “cut standing” Alpaca and to Vets Chris Warren and Jonathan Cranston for a superb clean castration of these Alpaca. 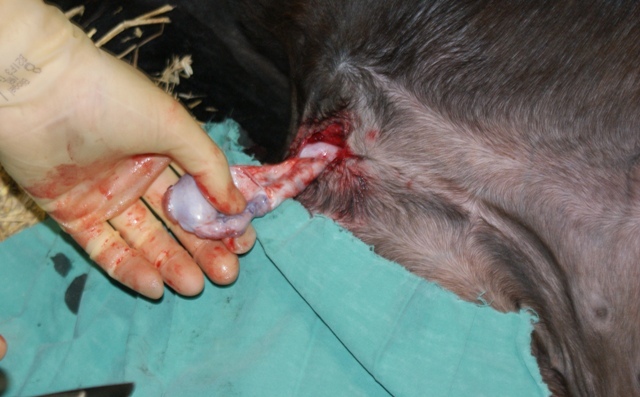 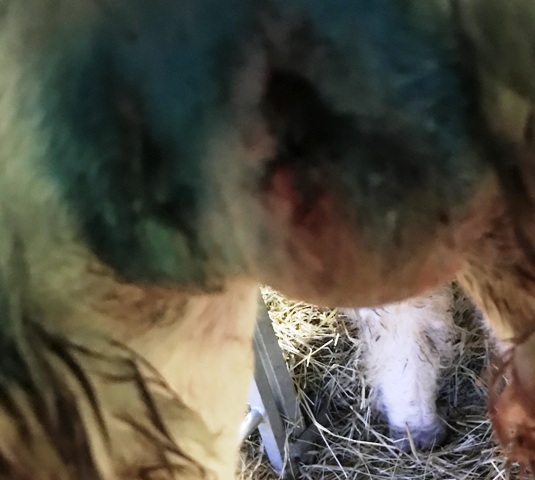 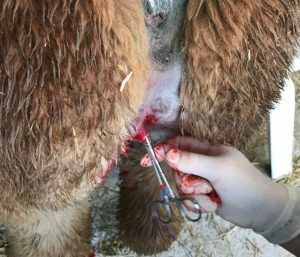 Please note Kensmyth do not and will not castrate under 2 years old as this can prevent growth and maturity of Alpaca including bone development – so do not expect tiny testicles when you get to that part. and then the finished article – job done! perfectly matched testicles taken from adult males. 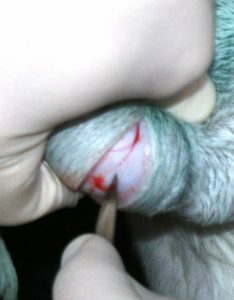 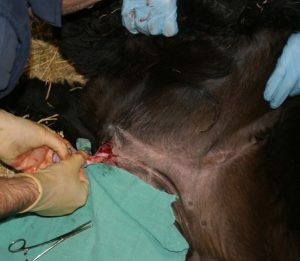 two Vets attend on each occasion and sterile conditions are required.